A few weeks ago, while at Urban Outfitters, I spotted Rachal Ray's "The Book of Burger". My boyfriend is potentially the world's biggest burger fan, and as I'm trying to make my way to his heart through his stomach, I had to get it! We've made a pact that we'll do one burger a week and work our way through the book. I'll take years, but they'll be delicious ones. Heat a few inches of vegetable oil in a pot over medium-high heat. 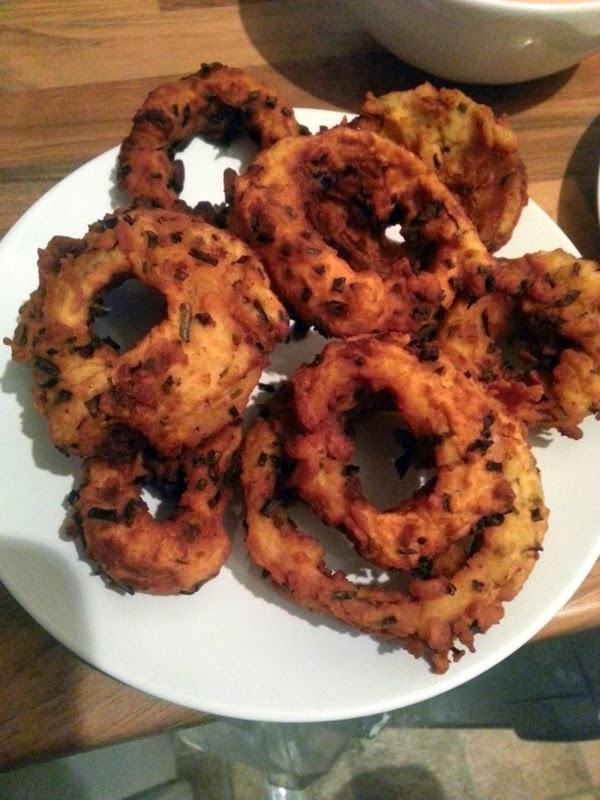 Combine 1 1/2 cups buttermilk and 1/2 cup sour cream in a bowl and add the onion rings; soak for a few minutes. On a plate, toss the flour with the chives; season generously with salt and pepper. Double-dip the onion rings in the liquid and the flour. 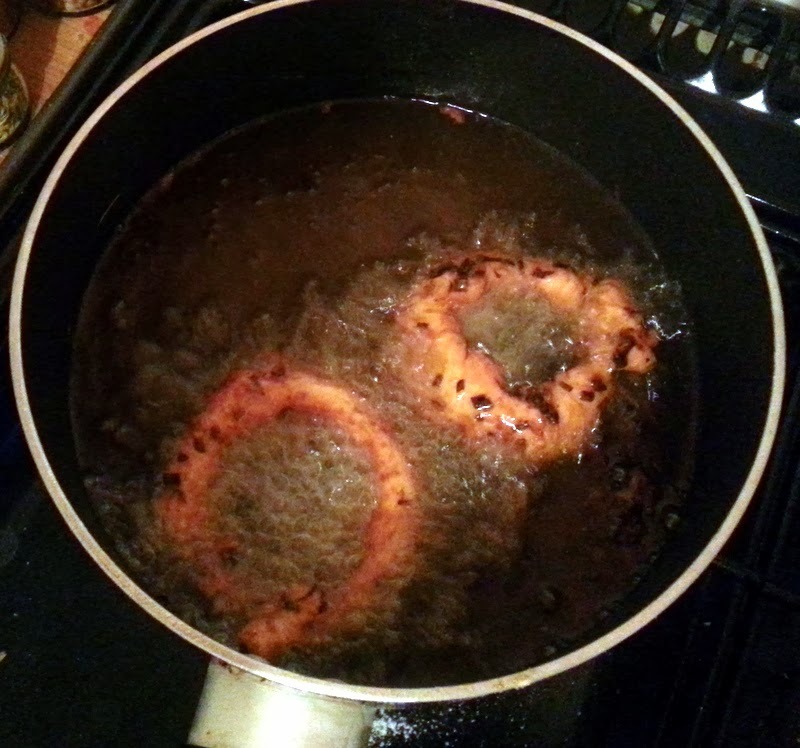 Fry a few rings at a time in the hot oil, turning once, until deep golden, about 4 minutes. Transfer to a rack to cool. Combine the beef, worcestershire, lots of pepper and a little salt. Form 4 large or 12 slider-size patties and coat with olive oil. Heat a large skillet or griddle over medium-high heat, add the burgers and cook, turning once, for 8 to 10 minutes for big burgers, 4 to 6 minutes for sliders. 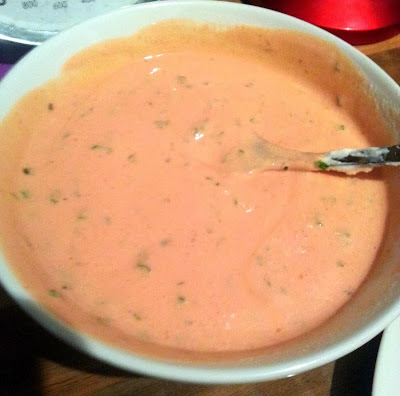 While the burgers cook, make the dressing. 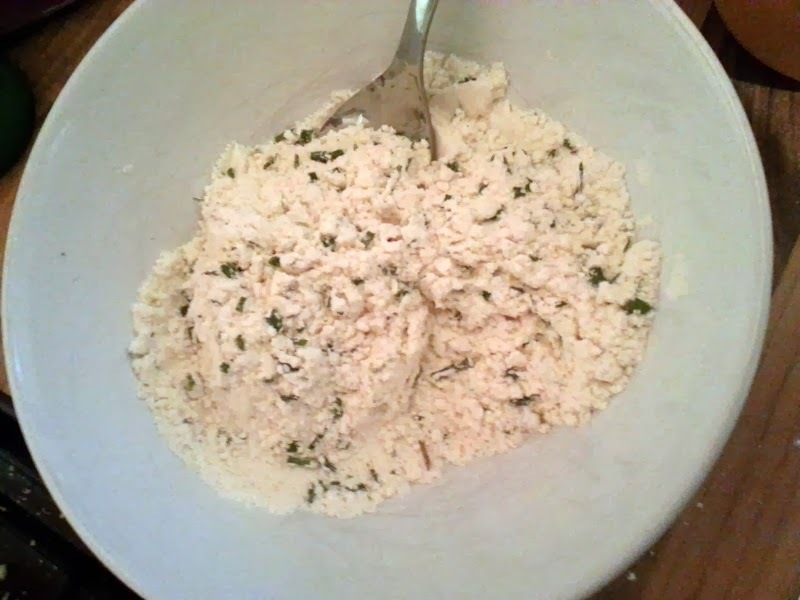 In a small bowl, combine 1/2 cup each buttermilk and sour cream, the ketchup, garlic, herbs and lemon juice; season with salt, pepper and hot sauce to taste. 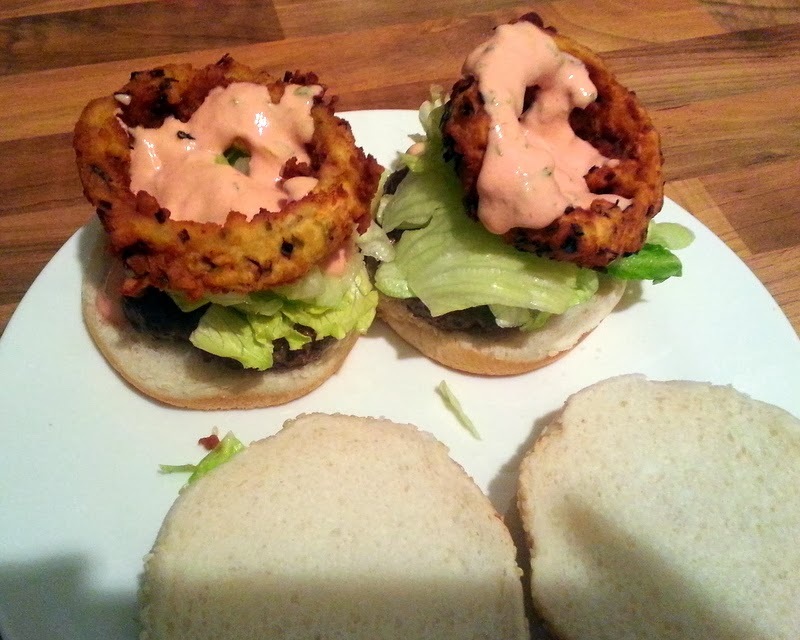 Layer the rolls with the burgers, ranch dressing, lettuce and onion rings. Yum! The result was delicious and we're definitely keen on making the rest!